If you’re looking for a reputable, quality Window Tinting Company in Kansas City, you’ve reached the right destination! Our group is full of experienced professionals that are passionate about what we do. Tinting your windows can be a huge hassle and expense. We’ve seen people try to do it themselves, and fail miserably. We’ve seen people use the cheapest option available, only to have their tint replaced in a year or two. We try to make window tinting in Kansas City as easy and affordable for you to experience peace of mind so it’s possible for you to have a cool environment in your car. Not to mention that it will look amazing and sleek too. What are some benefits of window tinting? There are three main reasons people choose to tint their windows- for privacy, to stay cool (because after all- we do live in Kansas City!) and to protect the interior of their car. 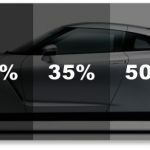 Trying to choose the right window tint, making it stick, and all of the minute details that go into tinting windows can be a huge headache as there is a large learning curve if you want to do it right. With how busy people are and the expertise required, does it even make sense to do it yourself? Let us take care of all of your window tinting needs. In addition to serving the Kansas City area, we also serve Overland Park, Johnson County surrounding, as well. We all know how important it is to choose the right window tinting company. 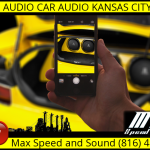 Choose Max Speed and Sound of Kansas City!